Mom Paula is coming home today from the Cat Writer's Association (CWA) conference. We've been much better with our pet sitter, DJ, this weekend, but we're happy that Mom Paula is coming home. I saw Mum in Instagram and FB WooHoo she had a good time. I know you will be glad she is home! It's always nicer when Mom is home. We know that, though DJ is very good and attentive to you, you will be much happier when Mom is home! We bet Mom Paula missed you girls as much as you missed her. That is a gorgeous selfie. What a pretty selfie, Brulee! What a beautiful selfie. Hooray for Mom Paula coming home! Bet y'all will be happy to see her! Its always great to see the regular staff back in post, but great they had a nice break at a very important conference! 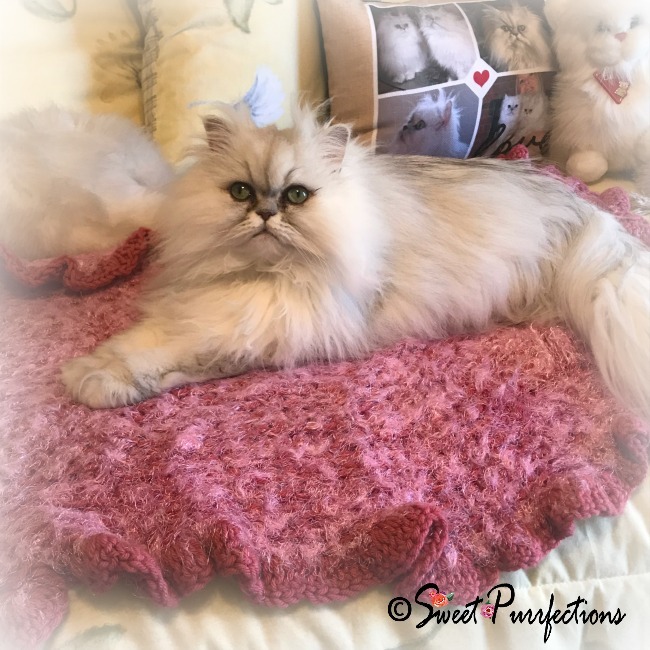 You are looking most wonderous, Brulee, that blanket sure looks like it was made for selfies and taking an easy! That is a beautiful selfie. Our mom had SUCH a great time with Mom Paula! She always enjoys spending time with her. We're glad to hear you were better with your cat sitter. Mom Paula says the feeling is mutual and she may need to take a trip up to NYC to visit. Wow. The picture is just plain incredible! Truly. I'll put it on my list of planned nominations for the Nose-to-Nose awards. Hopefully they'll be continued.